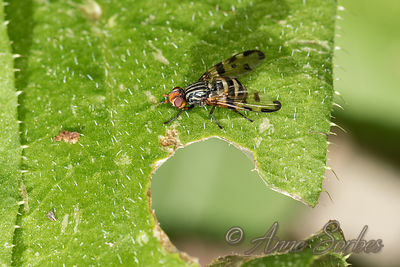 A picture-winged fly resting on a leaf. Butterflies area of the Musée Promenade of Digne-les-Bains. 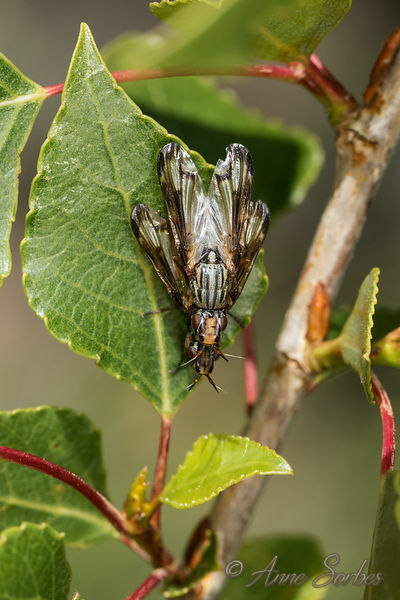 Mating of Picture-winged flies in a shrub at the edge of a path near the ammonite slab of Digne-les-Bains. 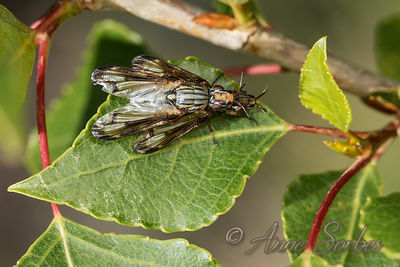 .Mating of Picture-winged flies in a shrub at the edge of a path near the ammonite slab of Digne-les-Bains. 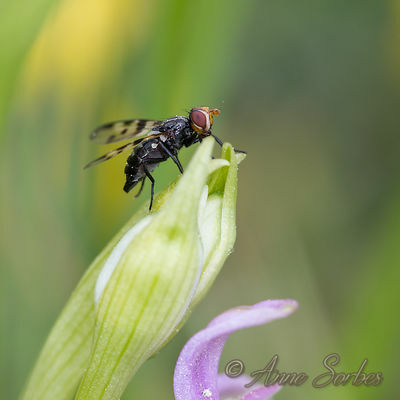 Otites formosa resting on an orchid.